Cheetahs are famous for their speed. They are very recognizable with beautiful sleek bodies, very distinctive ‘tear’ streak markings on their faces, and spots on their coats. Their name comes from the Hindu word ‘Chita’ which means ‘Spotted One’. Unfortunately, despite their beauty and speed the Cheetah is considered a vulnerable species. They are often killed by farmers when they threaten livestock. An additional threat, as with many endangered species, is that they compete with man for habitat. Adult Cheetahs have no natural enemies but the cubs are often in danger, and can be taken by Eagles, Hyenas and Lion. They are currently listed as ‘vulnerable’ by the International Union for Conservation of Nature (IUCN). 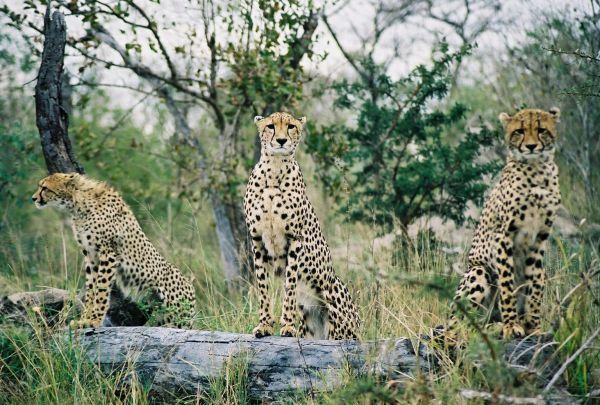 Although they are found in many reserves and national parks in East and Southern Africa, it is Namibia that is the most populated with an approximate 2,500 that live south of Etosha National Park. It seems unbelievable but countries such as Namibia and Zimbabwe are still allowed to issue quotas for trophy hunting of Cheetah. Recently Namibia was allowed 150 and Zimbabwe 50 per annum. They have a very good sense of smell, hearing and sight. Cheetahs don’t roar, they rather hiss or growl. When they want to make contact with other Cheetahs they will ‘chirp’ almost like a bird. Cheetah mothers will spend a lot of time teaching her cubs how to hunt. She will often bring small live animals to them, release it and encourage the cubs to hunt it. Many foundations are set up to save the Cheetah. The aim is education using all the resources they can muster. I hope word of their plight finds its way around the world and people get a chance to learn more about this incredible animal. We first need to be aware of the threat. Only then can we stop it. 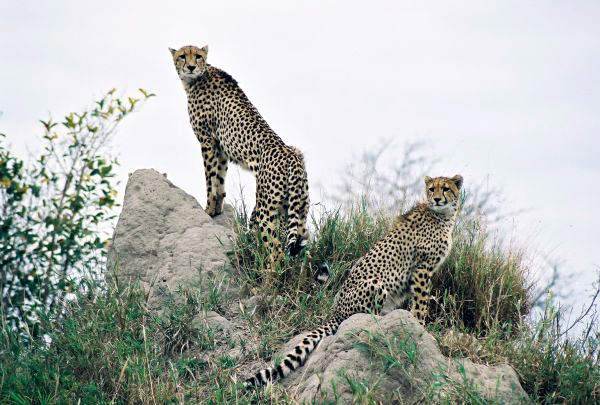 This entry was posted in All about travel, Travel tips and news, What is it?, Wildlife conservation and tagged Cheetah conservation, Fastest animal on earth, save the cheetah by Findtripinfo.com. Bookmark the permalink.